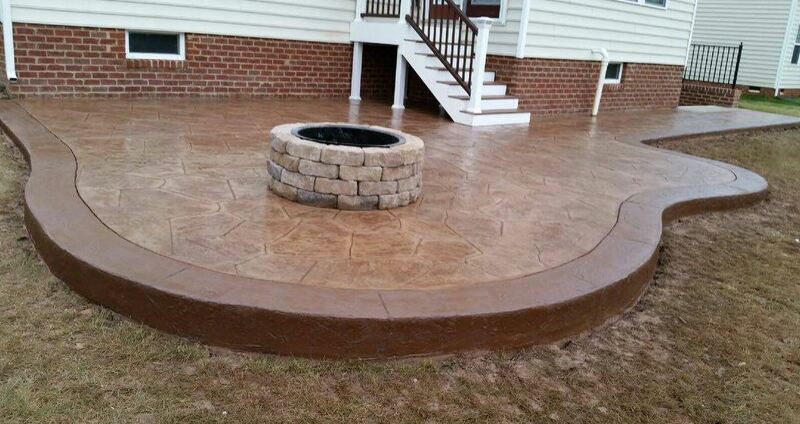 Looking for a decorative or stamped concrete finish on your new patio? Maybe your driveway is falling apart and needs to be replace, repaired or resurfaced? No matter what your situation is, we are the contractor here in Chesapeake, Virginia you can depend on. We offer a ton of services ranging from paver patio installations to epoxy flooring work, so give us a call and request your free estimate today. We're at (757) 347-8337 and are looking forward to helping you with your project. Often times when the weather's warming up, people start to get things done around the exterior of their homes and making plans about how they want to do things. Are you in search of a concrete company to have some work done? If so, you will want to make sure you hire the best one around. Here you will learn how to search for and find the best company in the area. Keep reading the advice below to learn how to hire the best one around. Start your search by asking people you know. Ask friends and family and even co-workers if they have any experience with anyone. See if they have a particular company they can recommend and if they can tell you more about them. You may get some great advice when you ask people you know. You may get even more information when you use social media to your advantage. Log onto your Facebook account and ask your friends there. There are many people that will let you know about companies in the area that you could hire for the concrete work you want to have done. Try asking on your personal Facebook page and you can also seek Facebook groups that are in the Chesapeake, VA area. Ask them to get even more information from people that you aren't friends with on Facebook. They will provide you with all the information you need. You may find that some companies are tagged in the Facebook post. Check out their page and examples of their work so you can get a good idea of the work they do and if you want to hire them to work for you. You will also be able to see comments and reviews left by others that have hired them. Read over what you can find there and decide if they are the right company for the job. Search for contractors in Chesapeake, VA. See what you can find when you search Google. You will find a variety of companies that you have to choose from and will even be able to see reviews there from past clients. Read over what you can there and get a good idea about the company. Call each company to get more information from them such as when they can start working and what they will charge you for whatever type of work you want to have done. See what each one of them tells you over the phone and get estimates in person if necessary. When hiring a concrete company, you will want to make sure they are going to be able to work on the job you need done when it's convenient. If they aren't available when you need them, move on to the next company. Make sure you compare the prices and the company information before hiring anyone so you can be certain you hire the right one.